Q. After working in admissions for nearly 10 years at some of L.A’s top private schools, what made you decide to make the switch to educational consulting 2 years ago ? A. I loved working in private school admissions because I had the opportunity to meet so many students and their parents as they navigated the admission process. I got to be a part of school communities with really outstanding and involved students. I decided to make the switch to educational consulting after having my daughter in 2015. 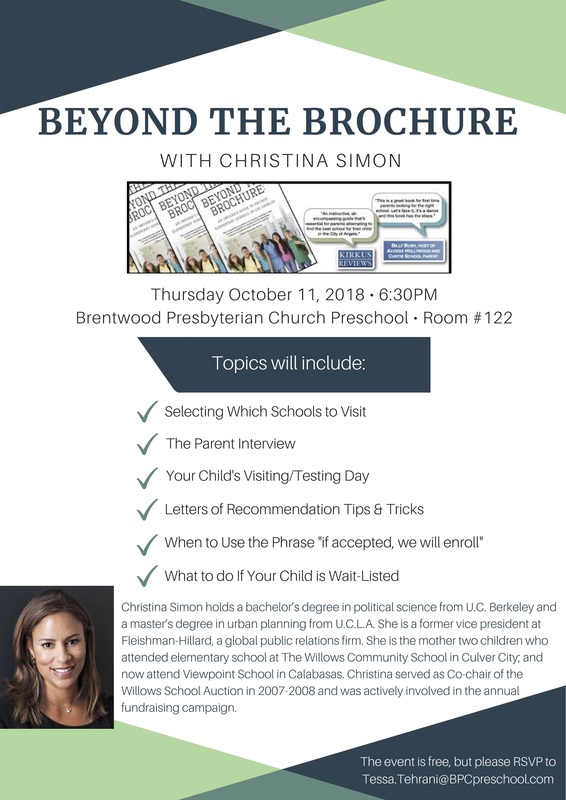 I realized that after participating in baby groups where the admission process was a hot topic and then navigating the preschool admission process for my own child, that I had a lot of information and insight into the school search process to offer. 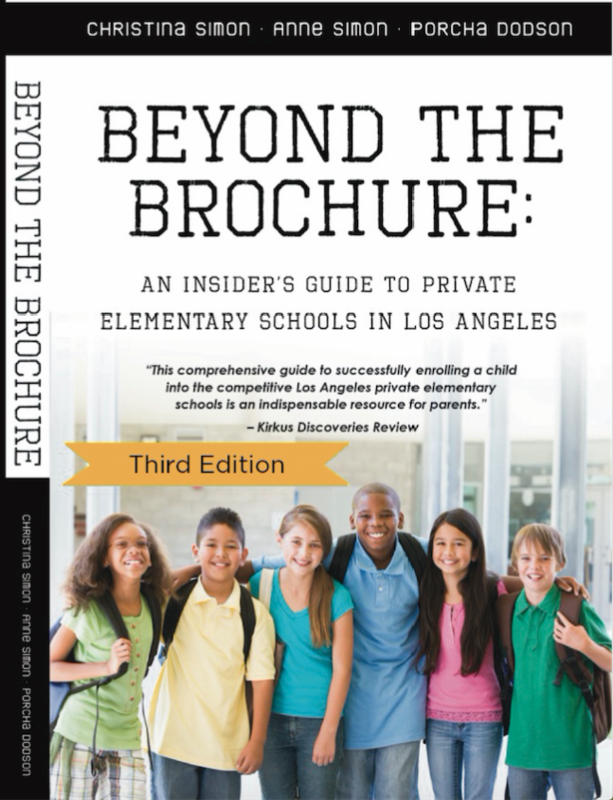 Furthermore, my mom has a successful independent college counseling practice and I wanted to create a practice similar to hers, but catered to families exploring K – 12 educational options in Los Angeles. There is a need here, and with my experience working in private school admissions and being an alumnus of one of these school, I am skilled and inspired to fulfill this need for the community. Q: How do you think your experience in admissions at Archer School, Marymount and Westside Neighborhood School and as a seasonal interviewer at Crossroads helps you serve your clients? A. My experience working in admissions has given me a deep understanding of the nuances of the admission process. I understand from start to finish the steps of the admission process. I interviewed and reviewed over a thousand applicant files while working in admissions, and can offer guidance to clients based on this experience. I recognize the admission officer’s perspective and how each piece of the application helps to form as complete of a picture of who the applicant is and who they would be as a potential student at a school. With this insight, I am able to help a family make sure they convey this in a clear and concise manner. Also, each school has a slightly different admission process and each school’s admission office may be looking for different qualities or strengths in candidates when they review an applicant file. From being on the inside, I understand this in a way that most do not, which helps me serve my clients. I make distinctions between each school so the family can find the right fit for them. Ultimately, the process is about finding a match between a family and school. 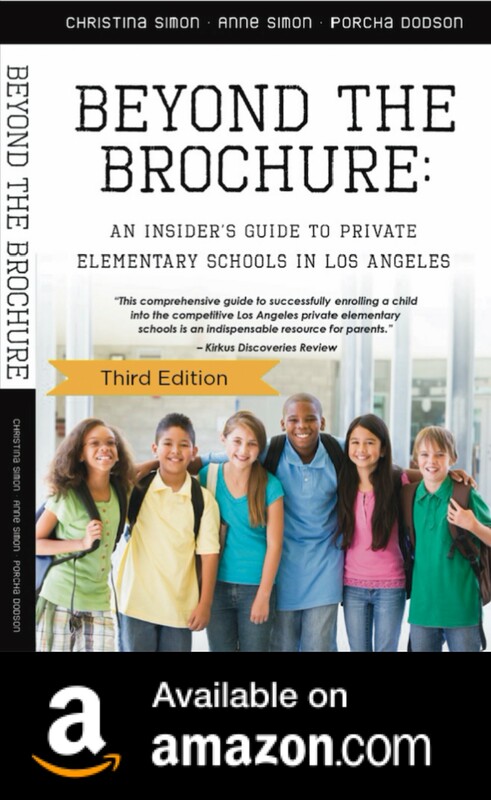 Q: You’re a graduate of Crossroads School (grades 4-12) so you have a long history with L.A. private schools. These schools are expensive! What do you think makes them worth the cost? A. I’m grateful that I attended Crossroads School during some of the most formative years in my life. What I believe makes independent schools worth the cost is the academic preparation and the care the school takes in helping develop the whole person. Independent schools have flexibility in the way they teach and do a great job of making learning fun, interactive, and engaging. Class sizes are typically small and schools offer a wide range of programs in the arts, athletics and electives which are incorporated into the school program. Based on my personal experience attending Crossroads and my professional experience working in admissions, I believe independent schools help students strengthen their voice, build confidence, learn to work collaboratively, and excel in leadership opportunities. Finally, the relationships you form in school and especially in the independent school network and community are connections that will serve students throughout their lives. Q: From an admissions director’s point of view, what can distinguish a family who has a great admissions process from a family whose admissions process doesn’t go well? A. What I have learned is that when the parent knows their child well, the parent has realistic expectations of who their child is as a student and person, and the family has a good idea of why the school is a good match for their family, it will be a positive admissions process. A good admissions process is also expressed through following the school’s guidelines, such as completing the application by the deadline, turning in all forms on time, showing up to scheduled appointments on time and treating everyone they interact with from security personnel to the Director of Admission with courtesy and respect. When a family is genuine, they don’t need to oversell themselves! On the flip side, there may be a variety of factors that may cause a family’s admissions process to go poorly. This can range from being constantly late or failing to show up to events to which they rsvp’d, not being familiar with the school during the interview, being overly demanding throughout the process, or presenting an unprofessional or disengaged demeanor while on campus. A parent who is overly needy and anxious throughout the admission process and calls the office daily can impact the child’s application. As an admission officer, we worried that similar challenging behaviors would continue once a family is enrolled. Finally, I think it’s important for parents to remember that they can’t shortcut the process, there are reasons why the admission process is in place. Q: What does finding the “right fit” in a school mean to you? Why is this so important? A. I think finding the right fit in a school means not only finding an environment where the child will be happy and successful academically and socially, but also finding a community that fits a family’s morals and values. I think a good test for a parent is to imagine dropping off their child at a classmate’s house for a playdate. Would they feel comfortable leaving their child with members of that community? Are they like-minded? Also, is this an environment where their child will be curious, feel comfortable making mistakes, as well as explore his or her different interests. It is also important to consider whether the school with continue to be the right fit for the child and he or she gets older. Will the school and community match the child’s academic prowess and interests? For example, a child that is a competitive athlete might be happier at one school over another, and the same thinking goes with other arts, specialized programs, etc. These are some of the important things a family should consider when determining a “right fit”. Q. Can you tell us a bit about the services you offer to clients who are looking for a private school? I offer a wide range of services tailored to each family’s personal needs. I typically begin with a consultation with the family to find out what they are looking for in a school for their child. 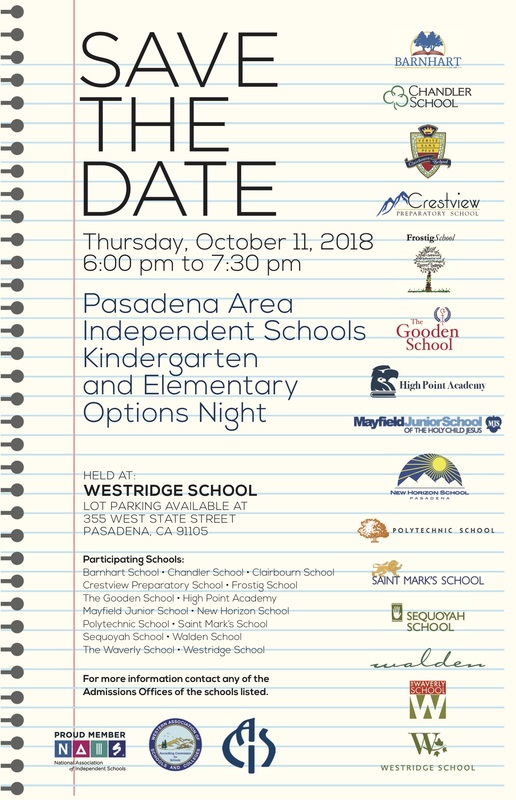 Based on this meeting I can offer a list of schools that would be a good fit for the child and information about the overall admission process. I offer my services to families on an hourly basis and through full service flat fee package. The full service package allows me to provide a family with unlimited support with their applications, visits, interview preparation, and any other help or advice they might need. I also work with families on an hourly basis to prepare for interviews, review applications, etc. I am flexible with the amount of assistance I can provide, I want to be a resource to help families in the community as they take this step in the education process. 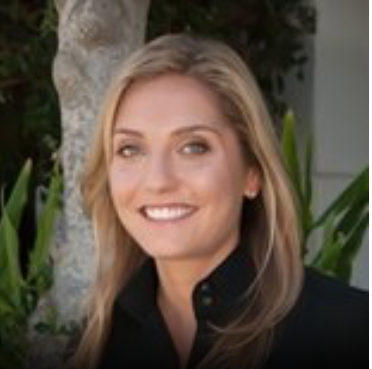 Gabrielle Fogelson has over a decade of experience working in Los Angeles independent school admissions. A native of Los Angeles, Gaby attended Crossroads School in Santa Monica and began her career in independent school admission at The Archer School for Girls a 6th – 12th, an independent girls’ school. At Archer, she served as Assistant Director of Admissions and as a 6th-grade advisor to students. She was the Associate Director of Admission at Marymount High School. In addition, Gaby worked as Assistant Director of Admissions for elementary and middle school admissions at the Westside Neighborhood School in Playa Vista. For the past two years, Gaby has worked in the Crossroads School admissions office as an interviewer and evaluator of applications. Gaby has volunteered at the Gabriella Foundation Charter School preparing students for independent schools admissions interviews.Gaby holds an MA in Educational Studies from Loyola Marymount University and a BS in Psychology from Union College, NY. As an undergraduate at Union College, Gaby worked in the admissions office-leading tours for prospective students. She resides in Los Angeles with her family.